Invest in human resources management training to help and meet organizational changes brought about by tough economic times. 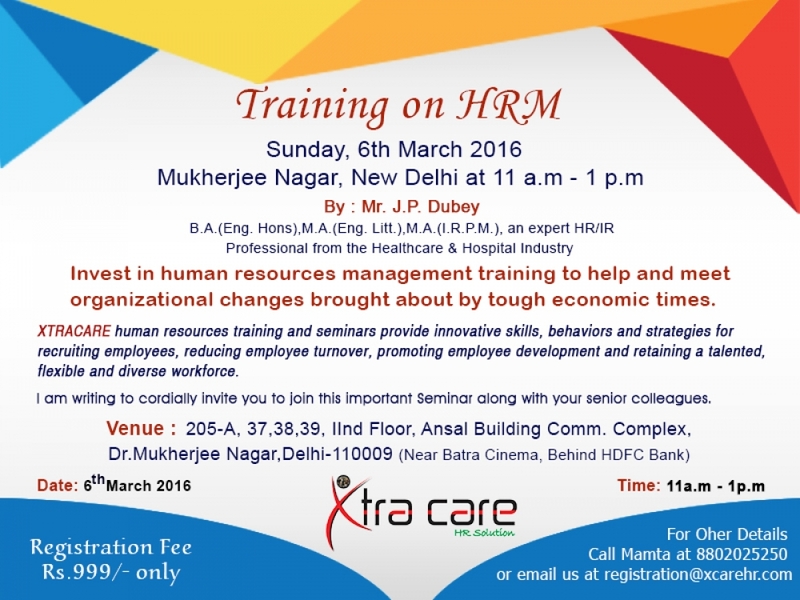 XTRACARE human resources training and seminars provide innovative skills, behaviors and strategies for recruiting employees, reducing employee turnover, promoting employee development and retaining a talented, flexible and diverse workforce. Use the practical advice in our HR seminars to create an environment that fosters professional satisfaction and encourages employee development—a crucial component to help ensure your company has a true and sustainable competitive advantage. Discover new approaches and techniques for training employees and building organizational unity. I am writing to cordially invite you to join this important Seminar along with your senior colleagues.